The park is situated in a secluded valley in the shadows of Narberth Castle and benefits from 40 acres of beautiful surroundings. 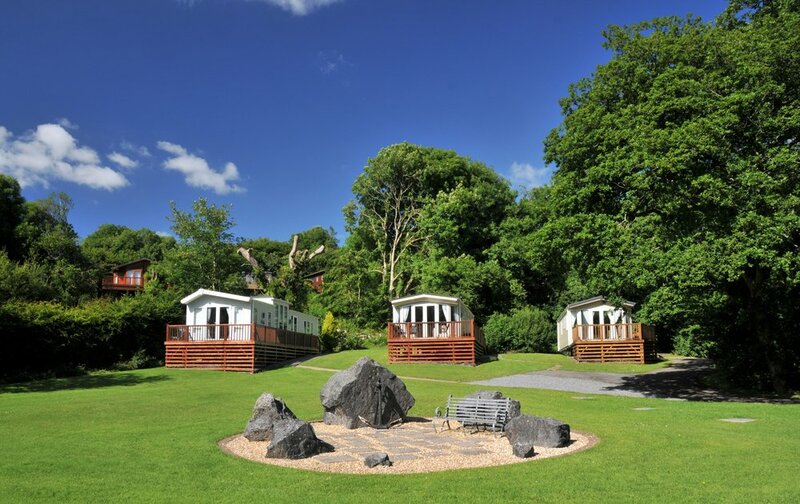 Brookside & Castlewood Holiday park offers caravans and lodges to sale for people who are looking to enjoy the beautiful sights and sounds that Pembrokeshire has to offer. Just down the hill from Narberth, Brookside is close to restaurants, bars and shops, but is set in a beautiful green valley with a brook running through the middle. With many of the plots having the benefit of south facing views, it is a welcome escape to come back to after a busy day exploring Pembrokeshire. Show Lodge Open Weekend 20th & 21st April 2019. Please come and see our lovely new show home at Castlewood. Brookside & Castlewood Holiday Park, Narberth Bridge, Pembrokeshire, SA67 8RD.